This pink polyester sport strap features a 316L surgical stainless steel medical tag, red outline medical symbol on black webbed strap and hook and loop closure. Medical ID Tag fits through the band and metal does not touch the skin (perfect for those with a metal allergy!) Though not waterproof, strap is water and mildew resistant. No further discounts on this laser engraved product. 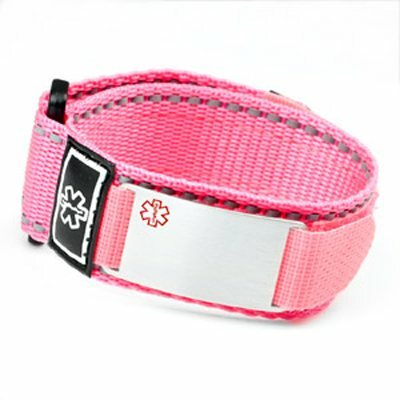 Price includes One Engraved Medical Tag with One Black sport strap. 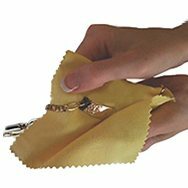 Small Band fits wrist size 4-1/2" to 5-1/2" - Please measure wrist or arm where you will wear your band. 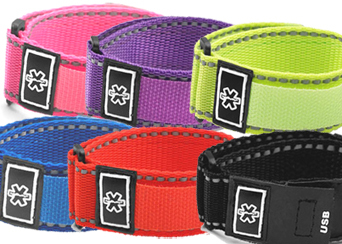 Sport Strap Size: Small - JAA1209 - Fits wrist 4-1/2" to 5-1/2"Large - JAA1210 - Fits wrist 5-1/2" to 8"